Eric Tindill, who died on Sunday 1 August aged 99, was the first Treasurer of the Wellington Table Tennis Association (1933) and a Life Member. He is better known as one of seven ‘Double All Blacks’ and the only one to play rugby and cricket tests for New Zealand. Eric represented NZ at rugby (1935-38) and played one test against England (1935) as a five eight. He played 5 cricket tests for NZ (1937-47) as a wicket keeper and did manage to catch the great Australia batsman, Sir Don Bradman, off the bowling of Jack Cowie in NZ v South Australia (1937). He also refereed three rugby tests (1950 v Lions (2), 1955 v Australia) and umpired a cricket test (1959 v England). Eric was inducted into the NZ sports hall of fame (1995) and was officially recognised as a legend of Wellington sport (2005). He also represented Wellington at football and table tennis. 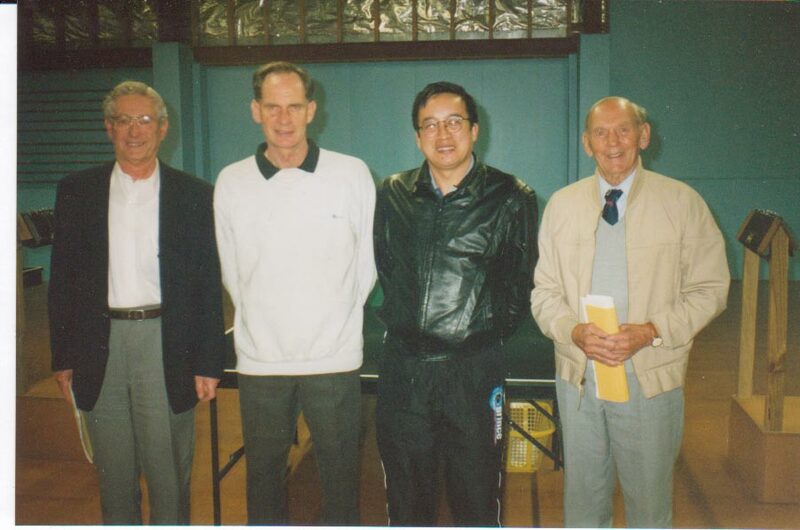 Eric retained a keen interest in table tennis and attended many Wellington Table Tennis Association AGMs. Also: The Dominion Post, Telegraph, NY Times.